We are concerned with the total well-being of our patients and staff and that, of course, includes what they eat and drink. We aim to provide, every day of the year, a balanced range of appetising and nutritious food and drinks, enabling patients and staff to have a choice that reflects their preferences and needs. Simply put, we strive to provide you with the correct quantities of wholesome, healthy food for your needs, prepared hygienically and presented well. 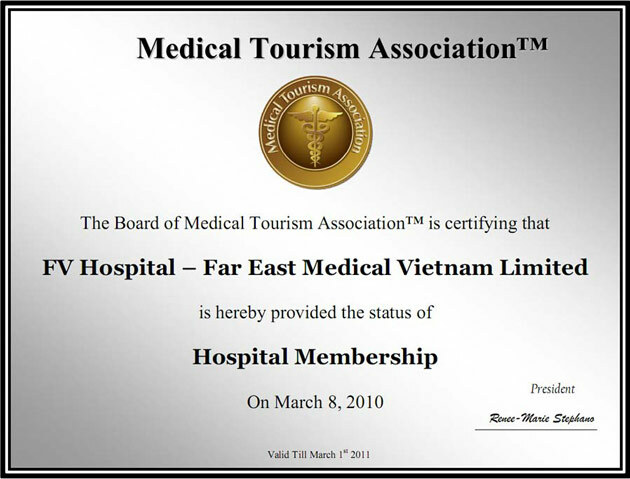 We want to make you feel at home while you are at FV Hospital. Eating and drinking properly will help you fight infection, maintain your weight, respond to your treatment and heal more quickly. Our chef and his team produce breakfast, lunch and dinner for your enjoyment, delivered to the room or treatment area, along with two drink and snack rounds for inpatients; in the afternoon and late evening. The varied menu on offer, devised in consultation with nutritionists and doctors, includes both Asian and Western options and salads and sandwiches to allow for all tastes and preferences. Special and therapeutic diets: The food and beverage team works closely with the medical team to ensure that all food prepared for patients conforms to any special diet prescribed by the doctors (for example, low salt, low fat, diabetic). The team will also be available to advise you on these diets, to make sure that you understand the requirements. Special preferences: Our chefs will work with special care groups (for example, elderly, new mothers, children) and with individual patients, to cater for individual dietary, cultural or other special preferences. Children’s menu: Children, especially sick children, do not always want to eat the same meals or the same portion sizes as adults. Our team has devised some special menu options that we hope will help them to relax and feel comfortable during their stay at FV Hospital. Cafeteria: You and your visitors can also sample a range of delicious meals and snacks at the first floor cafeteria, which is open 7:30am to 7:30pm (Mon-Fri) and 7:30am to 2:00pm (weekends). In addition to hot and cold Vietnamese and Western main meals, the cafeteria also serves a full salad bar and an imaginative range of sandwiches, complimented by hot and cold drinks and juices. Many say the croissants and pastries are some of the best in Ho Chi Minh City! Coffee Shop: Pass those spare minutes in the coffee shop, where you have a choice of the finest coffee, tea and freshest juices, all accompanied by home-made patisserie products. Open between 7.30am and 5.30pm, there are internet access points opposite and free Wi-Fi access for those with a laptop. Selected items are also available to take away. Gift shop and vending machines: Our Gift Shop is open every day until 8pm, offering a small range of snacks, sweets and drinks for patients and their visitors. For those people who arrive at the hospital between 8pm and 7.30am, we have vending machines in the Emergency Department that offer a simple hot and cold drinks service. Food Hygiene: We take hygiene very seriously and the food and beverage department is no exception. We work to international best practice food hygiene standards which means that the production, storage and distribution of your food is monitored closely at every stage. You can be assured that the highest levels of food hygiene and control apply at all times and that staff are fully trained in, and conform to, HACCP standards. Customer Service: We aim to satisfy, even exceed, our patient and customer needs and expectations. We, therefore, carry out regular surveys of patients and customers and welcome feedback to identify where we can improve our service. If you have any suggestions or comments about our food services, please do not hesitate to advise us.